Casta Cigars is a brand hailing from York, Pennsylvania. Unlike most cigar brands, Casta has a dedicated retail location that features Casta products and accessories. The claim to fame for Casta is their tobaccos which are aged an incredibly long time. 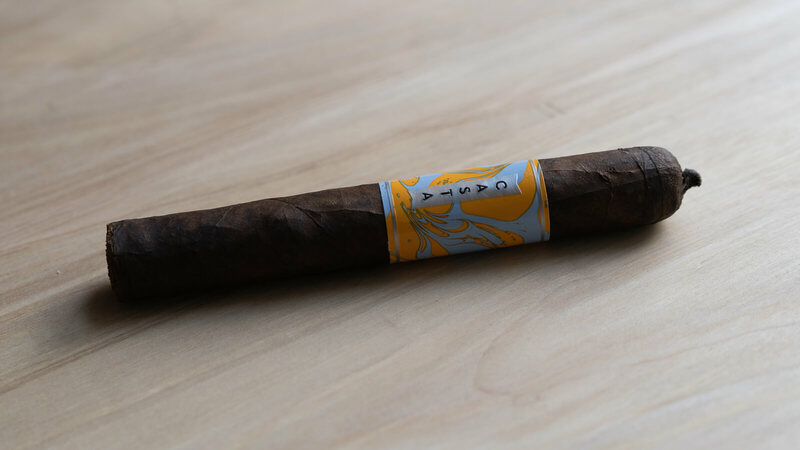 The Casta Brazilian maduro, for example, features a 15 year old Brazilian maduro wrapper, which as you’ll read below lends a lightness to the smoke which is commendable. 10 year Mata Norte Brazilian maduro wrapper & filler from Cuban seed. Indonesian binder. Boasts an earthy aromatic taste and always hand-rolled using the tubular technique used at Cohiba in Cuba, providing a satisfying and smooth finish. Note: though the website says the tobacco is aged 10 years, I’ve been assured by the company that the wrapper is in fact aged 15 years. Hopefully at some point in the future, they’ll update their website to the correct age. The Casta Brazilian Mago comes wrapped in a dark, evergreen-tree bark colored wrapper. There’s a layer of oil which is felt just handling the cigar in my hand. Veins are minimal, and as I squeeze the cigar down its length, it is clear that it is packed fairly tightly and consistently. From a brand standpoint, the band certainly stands out. It features light blue and orange swirls serving as the background to the logo placed firmly in the middle. After cutting using a straight cutter, the draw seems good, though just a bit tight, probably an 8/10 in terms of restrictiveness. The cold draw is mellow and releases notes of light earth, oak, coffee beans, and touches of raisin. The aroma off the foot is more centered on dry wood, with some additional black pepper and paper. The Casta Brazilian Mago opens mild with average smoke production. The profile is initially dominated by a bitter espresso note that is accompanied by earth and mild spices. After about a quarter inch, a clear chocolate note balances out the bitterness, with raisin and wood coming in as supporting characters. Overall, I’m struck by the lightness of the smoke, especially when the profile is full of notes typically associated with heavier cigars. The retrohale, for instance, is totally mellow, contrasting with the bitter espresso on the palate. This I’d guess is the direct result of the extra aging of the tobacco. An inch in, the ash (which is pleasingly almost completely white) is still holding strong and the burn is just about perfect. A touch of white pepper has entered the retrohale but even then is ephemeral. The palate is interesting, balanced between white pepper, bitter espresso, and dry wood, but a paper flavor enters which unfortunately detracts from the overall experience. On the nose, there are some additional flavors, including a nice chocolate paired with floral. The first ash drops right as the ember hits the second third mark. The profile in the second third contains most of the same flavors but in different proportions. The bitter espresso is still dominant, which at this point is out of balance, dominating the sweeter flavors. Earth, cocoa, light black pepper and some dry leather strips. The aroma of the smoke continues to be my favorite quality of the cigar, primarily because it’s there that the balance is struck well between the bitter and sweet notes. Construction in the second third remains basically flawless. In the final third, strength edges up to medium, and the wood notes shine through, adding nice complexity and improving the balance of flavors somewhat. The nose continues to be very enjoyable, especially as the intensity grows. The age of the tobaccos that comprise the Casta Brazilian Mago are very much on display throughout the smoke, primarily in the form of mellowness in the aroma. My favorite aspect of the smoking experience with the Brazilian Mago is the aroma of the smoke, which is light, slightly creamy, and contains more nuance than the palate. Unfortunately, after smoking a few of these cigars, the balance between sweet and bitter notes isn’t often struck. For most of the cigar, bitter espresso dominates on the palate, elbowing out some of the subtler notes that, if stronger, could really make this a great cigar. 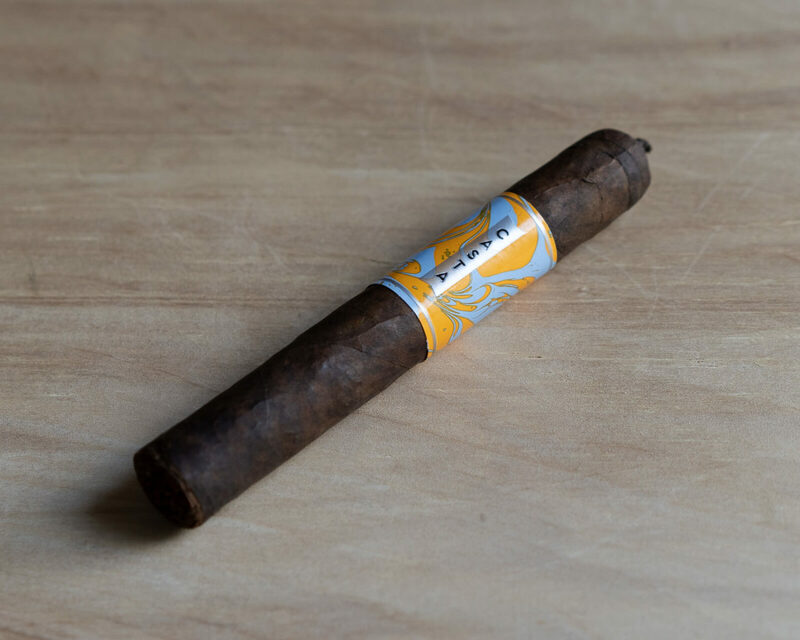 To learn more about Casta Cigars, stop by their website or read our interview with Jon Kindig, Co-Founder of Casta Cigars.